The problem of freezing the computer and have encountered almost every user of Windows operating system. In this situation, the main task becomes not so much the restoration of normal functioning of the computer how much saving the previous work. The computer freezes can occur in different ways. The most critical situation is when the user instead of the usual desktop or the program window suddenly displays a blue screen. This situation occurs rarely, it may be incorrect operation of programs and drivers or faulty hardware. To make here already anything it is impossible, a normal desktop you will see only after you restart the computer. If the blue screen appears often, then reinstall the OS. When you save the issues run a full computer diagnosis using scan tools. 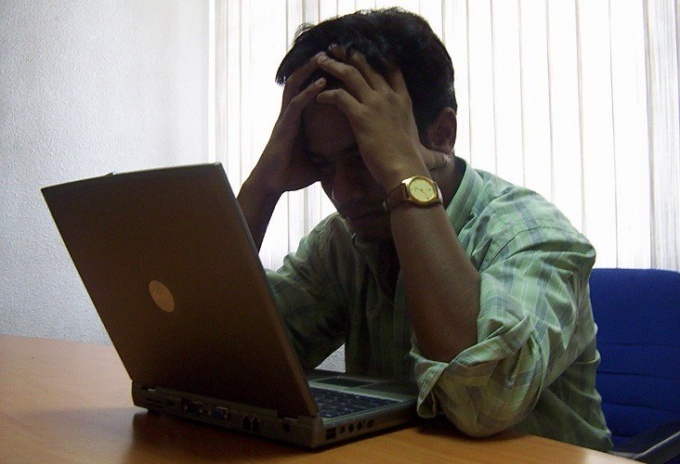 More often user faces a situation where the computer stops to respond to user actions. In this situation, open the task Manager (Ctrl + Alt + Del) and try to determine which process caused hanging. This is usually one of the running programs in the Applications tab. Try to close it, then the computer is restored. If the computer's frozen, but you are afraid to lose any important data, press Alt + F4. The currently open window, whether the window of a running program or open a drive, folder, etc., will be closed. If you do a lot of work with text editor Word, set the settings to-the-minute saving. This will allow almost any situation to save your work. In that case, if you can open the task Manager, but nothing more can be done, try to restart your desktop. In task Manager in the Processes tab select the process explorer.exe and stop it. Then select "File – New task", enter the command explorer.exe and press Enter. If the computer hangs when booting, try booting in safe mode (F8 at startup, choose safe boot). If the computer is normally loaded, so the cause of the hang is some kind of third-party service or program. To solve, open "start – Run" ("Search" in Windows 7) type msconfig and press Enter. Select the tab "Services". Check "hide all Microsoft services". Disable all the remaining services, removing near them tick, and then restart the computer in normal mode. If hangs not, the problem lies in one of the disabled services. Running them one at a time, you will be able to identify the one that causes the system to hang. Sometimes there are situations when the computer tightly hangs, and hangs, starts to work very slowly. The processor loaded on 100%. In this case, open the task Manager and see what process loads system, then stop it. Sometimes rather weak computer freezes because of antivirus programs. Install another, more "lightweight" antivirus program or upgrade the computer. For example, add RAM.